So far Blythe Creek has created 221 blog entries. Homes, Cabins & Condominiums: Mt Hood Area (153) per the Regional Multiple Listing Service (RMLS) which includes homes and cabins in Welches, Rhododendron , Brightwood, and Government Camp Oregon. 24 Pending Home & Cabins are currently under contract. 2 Short Sale Pending Residential Home Listings. 41 Homes and Cabins have closed so far in 2014. Only 1 sale was a bank owned property & 1 a Short Sale. The median Sale Price to date is $237,500. 44 Active Undeveloped land listings in the Villages of Mt Hood. 1 Pending Undeveloped land property is currently under contract. 2 Undeveloped land properties have sold so far in 2014. Psst: How is 2014 measuring against 2013? Take a look at the Market Snapshots for March 22, 2013 for an in-depth review of the Mt Hood Real Estate marketplace. Here are the February 2014 Mt Hood Real Estate closed home sales for the Villages of Mt Hood area from Alder Creek to Government Camp, Oregon including the communities of Rhododendron, Welches and Brightwood. Three of the closings were on Waterfront sites in the Mt Hood area, two on private land. There were NO Short Sales and NO Bank Owned home closing! 85 Current Active Residential Home Listings which includes Single Family Homes, Cabins, & Condos. This is heading towards a seasonal low for inventory. 22 Pending Home & Cabins are currently under contract. 20 Homes and Cabins have closed so far in 2014. Only 1 sale was a bank owned property. 45 Active Undeveloped land listings in the Villages of Mt Hood. Psst: Take a look at the Market Snapshots for January 2013 & March 2013 for an in-depth review of the Mt Hood Real Estate marketplace. In 2013 there were 158 Closed home sales in the Villages of Mt Hood from Alder Creek on the west to Government Camp to the east and also including the towns of Welches, Brightwood and Rhododendron, Oregon. 2013 closed sales were up from the 140 closed transactions in 2012 or a 13% increase in the number of sales for 2013 . Volume is a more impressive increase for 2013. Total Residential Sales volume for the year was up by approximately 28% over 2012. The Median Sale price rose in 2013 to $201,750. It was up from $172,000 for the 2012 Median Sale Price for Homes, Cabins and Condos. The total number of Distressed Sales, either a Bank Owned or Short Sale transaction, in the Villages of Mt Hood fell in 2013 to 14% of the total Number of closed sales or 9% of the total volume. 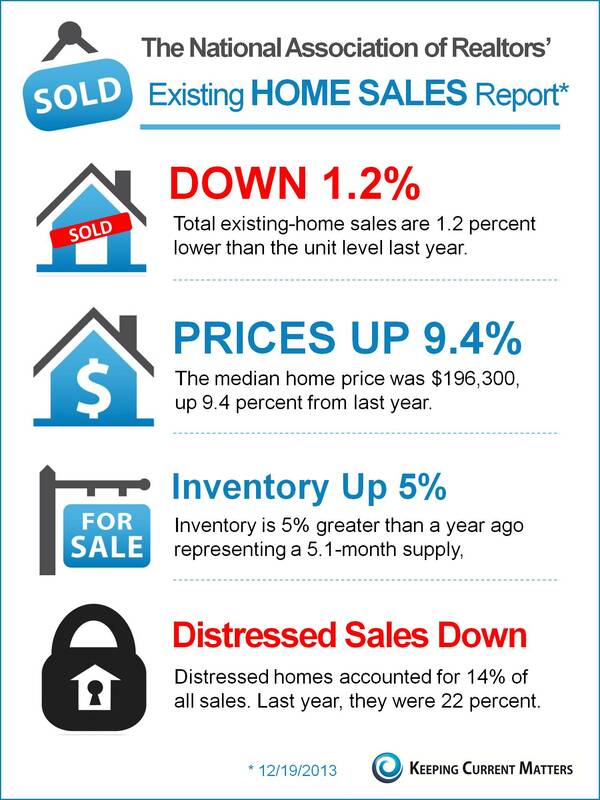 In 2012, 25% of the transactions were “Distressed” sales. I predict these distressed sales will continue to dribble into the marketplace creating what is being called a “New Normal”. The new category of Judicial Forecloses for the state of Oregon may impact the marketplace. Time will tell. Forest Service cabins accounted to approximately 16% of the market in 2013. This is not much of a change from 2012. The Median Sale price was $115,000 in 2013 and in 2012 it was $148,500 . This was a 23% DROP in 2013, the only niche Mt Hood Market in 2013 to have experienced a decline. The reason for this decline was a large number of sales at the lower price points due to necessary infrastructure improvements ie. septic system installation that the buyers completed. Waterfront properties account for a significant number of transactions each year in the Villages of Mt Hood. In 2013, 37% of the transactions were on streams, creeks, rivers or lakes. There was an Increase in Government Camp condo volume in 2013 over 2012 by a walloping 101% . Fewer distressed sales and increase in the High End Luxury condos sales account for the percentage increase. Happy House Hunting in 2014! Here are the closed Sales for the Villages of Mt Hood area from Alder Creek to Government Camp, Oregon including the communities of Rhododendron, Welches and Brightwood. Three of the closings were on Waterfront sites in the Mt Hood area, 1 was a Short Sale and there were NO REO properties for Mt Hood real estate in January! Also there was one Forest Service Cabin on a Forest Service Special Use Permit and one Condo in Welches, Oregon. The Homeowner Flood Insurance Affordability Act, S. 1926 Passes Vote in the Senate! Mt Hood has many rivers and streams that are susceptible to Flooding and the recent enactment of the Biggert-Waters Act that went into effect last October 1, 2012 has left many not knowing what the future holds. “On January 30, 2014, the US Senate passed S.1926, the Homeowner Flood Insurance Affordability Act, on a vote of 67-32. Support for this bill included several Republican Senators from the coastal states of Louisiana, Mississippi, Georgia and Florida, suggesting that Congress may yet enact additional modifications to the flood insurance program this year. Action in the House is not yet assured, but there are indications that the House will consider a modified version of the Senate proposal.” per the Dentons on-line publication, Kara Baysinger, Gary L. Goldberg, Mary Pat Lawrence and Sander Lurie contributors. Also, the National Association of Realtors (NAR) released this exerpt, “This legislation will help homeowners nationwide who are experiencing financial hardship as a result of extreme flood insurance rates that are the unintended consequence of the Biggert-Waters reforms to the National Flood Insurance Program” , per Jenny Werwa for the NAR. Kudos to both Senator Jeff Merkley and Senator Ron Wyden of Oregon to their yes votes. On the House of Representatives where we hope gridlock is not their middle name in 2014!